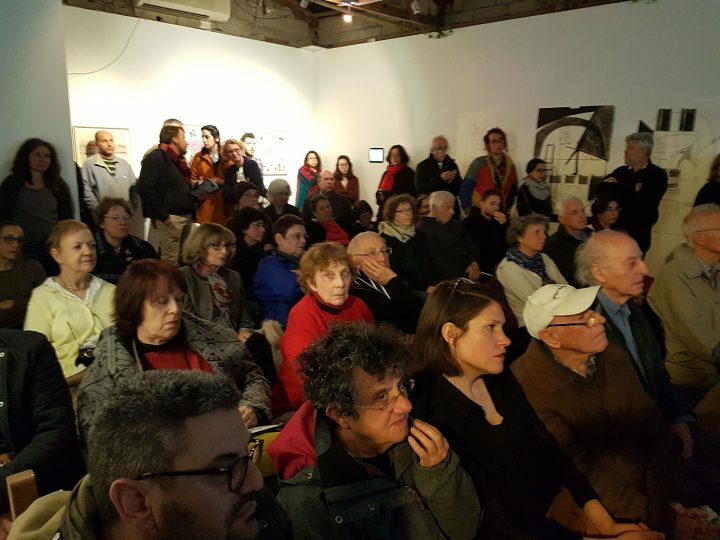 Barbur Gallery held an event with the left-wing NGO Breaking the Silence, and now the municipality of Jerusalem is trying to kick it out of its space. JERUSALEM — On a seemingly normal day in early February, Masha Zusman began receiving calls about the closure of her art gallery. 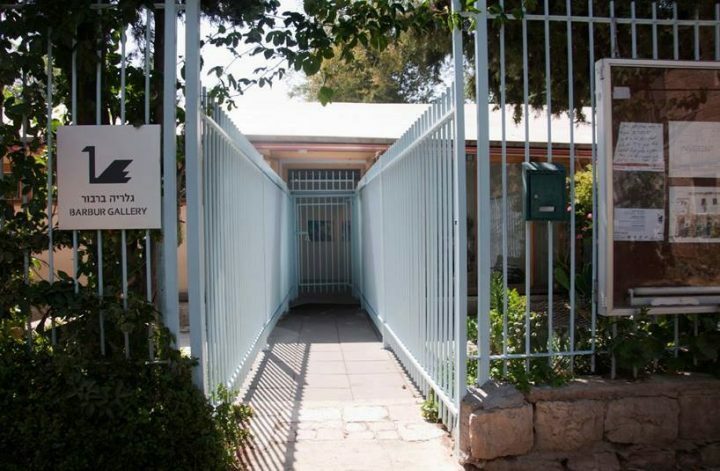 Reporters were looking for a reaction — how was she taking the news that Jerusalem Mayor Nir Barkat had announced the municipality would be shutting down her nonprofit contemporary art space? Over the course of the day, Zusman learned that the Jerusalem Municipality had quickly ushered through an eviction hearing on the morning of February 8, without any Barbur Gallery representatives present, following the publication of an open letter by Miri Regev, Israel’s Minister of Culture and Sport. In her statement, posted to her Facebook page on February 7, Regev spoke out against the gallery’s upcoming event — scheduled for the next night — with Breaking the Silence, a left-wing Israeli NGO that collects testimonies of former Israeli soldiers to educate the public about the realities of the country’s occupation of the West Bank and Gaza. The resulting closure notice stated that Barbur, which receives around two-thirds of its funding from the government, was to return its gallery space to the municipality within 90 days, due to “zoning violations” discussed at a hearing last year. Yossi Havilio, a lawyer for Bar Kayama, an NGO that supports the gallery’s independent work, responded with a letter that stated: “It’s clear to any sensible person that this decision is political. They don’t want these opinions heard because Nir Barkat wants to curry favor with Likud voters,” he wrote, referring to supporters of Israel’s ruling right-wing political party. Despite a growing online firestorm surrounding the gallery’s status, Barbur’s event with Breaking the Silence went ahead on the evening of February 8. As night fell, CEO Yuli Novak began discussing his organization’s latest report detailing settler influence on Israeli Defense Forces (IDF) conduct in the West Bank, as protesters crowded the narrow streets around the gallery. A few dozen right-wing demonstrators were drowned out by around 200 left-wing gallery supporters; police reported minor incidents of violence between the two groups. The municipality’s announcement to shutter Barbur is the latest attempt by the right-wing government to curb freedom of speech throughout the country. Regev, a particularly outspoken member of Prime Minister Benjamin Netanyahu’s cabinet, has led the Likud party’s campaign against artists who criticize government policies, or those who give voice to the Arab experience in Israel or to life in the occupied Palestinian territories. Within the past year, Regev has personally called for the defunding of Israel’s most respected art academy, Bezalel, after a student’s poster of Netanyahu and a noose went viral; walked out during the performance of a Palestinian poem at Israel’s Ophir Film Awards; and threatened to withdraw funding from theaters that refuse to perform in illegal Israeli settlements. To Zusman, this repression is not the result of newly provocative tactics in the artistic community, but instead the increasingly critical eye of government officials, who are on the lookout for anything they think will further their own political interests. 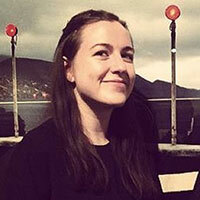 She was part of the group that founded Barbur in 2005, a collection of recent graduates of the Bezalel Academy of Art. In its nearly 12-year history, the gallery has become an integral part of Jerusalem’s central Nachlaot neighborhood. Alongside its exhibition program, the space also hosts screenings, talks, and workshops that engage with contemporary art and social issues. 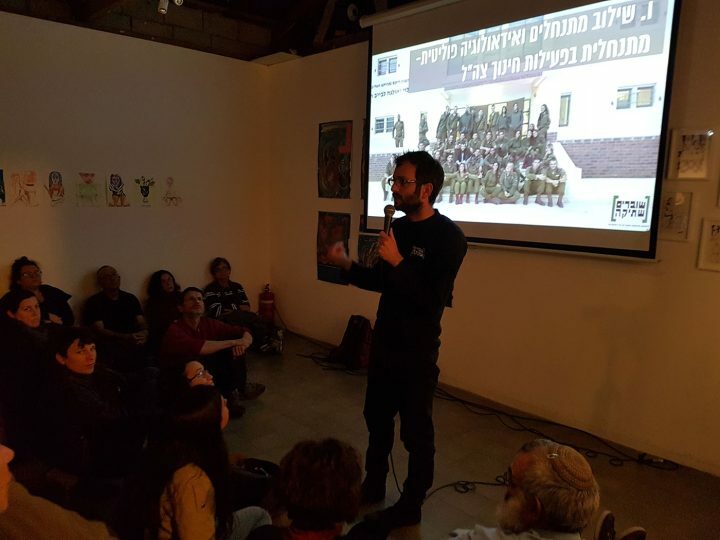 But Barbur has been increasingly targeted by right-wing activists since 2015, when it held a photography exhibition in conjunction with Ir Amim, an Israeli NGO that monitors the Israeli-Palestinian conflict in Jerusalem. The photography exhibition, entitled 37% – East Jerusalem Stories, documented the daily Palestinian experience in East Jerusalem. Zusman said that more complaints to the Jerusalem Municipality about Barbur’s activities were registered at the end of 2016, and the gallery was asked to cancel three separate events. But it held firm in its program, committed to celebrating diversity and discussing social issues in Jerusalem and beyond. Zusman has no intention of shutting down the gallery within 90 days, and is busy preparing the next exhibition, a display of surreal painting and performance, which opens on Thursday. In the meantime, Barbur is experiencing a swell of online support and is ready to fight the closure, should it come to that, in court.